There are several options for parking bikes at the Wiehle-Reston East Metro station. 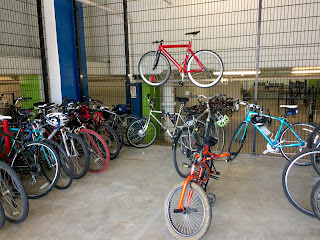 The secure bike room can hold over 200 bikes. There is a $60 annual fee. The free bike room just outside the secure room can hold around 36 bikes. There are also now bike racks on the plaza and two sets of U racks on the south side of the station. 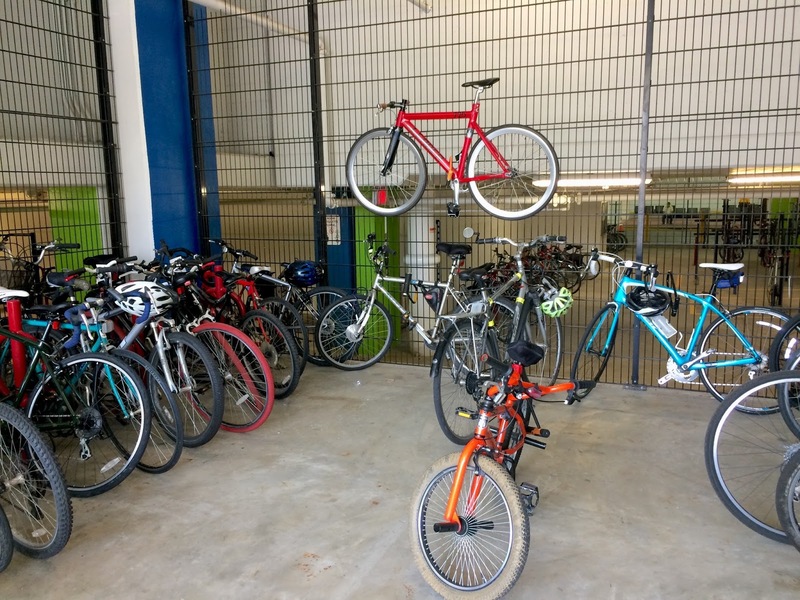 The free bike room has become very crowded, with bikes locked to the fence and elsewhere. We've counted over 55 bikes on a nice summer day. Fairfax County will be expanding bike parking in the free bike room next Tuesday, September 5. All bikes must be removed from the room during that time. Thanks to Fairfax County for addressing the need for more parking at the station. The bike room will be closed on Tuesday, September 5th to add more bike racks. Please remove your bike before Tuesday. Bike parking is available on the plaza. Any questions, please call 703-877-5600.